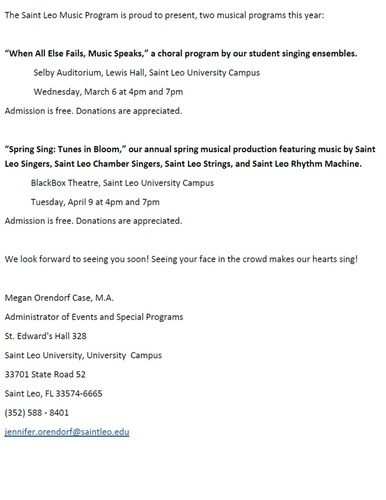 “Spring Sing: Tunes in Bloom,” our annual spring musical production featuring music by Saint Leo Singers, Saint Leo Chamber Singers, Saint Leo Strings, and Saint Leo Rhythm Machine. We look forward to seeing you soon! Seeing your face in the crowd makes our hearts sing!